At pre-show barbecue with friends in Atlanta, Matthew Mayfield set aside a few minutes to perform a special acoustic performance of "Track You Down," an emotional story based track off of his brand new album A Banquet For Ghosts. 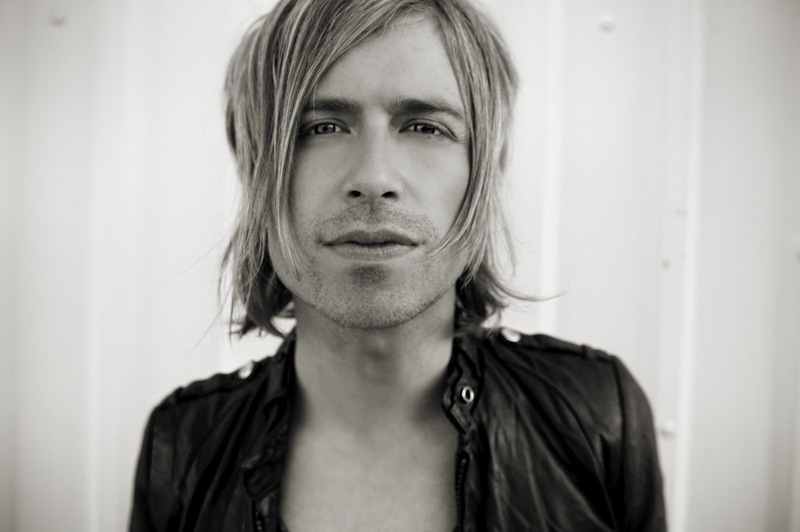 I recently had the opportunity to speak with Bryce Avary of The Rocket Summer, regarding his new album Life Will Write The Words, on his newly created record company, Aviate Records. Enjoy! Headlining tour dates with the Scene Aesthetic and States are listed at the end of this post! I have always wanted to ask you this, because you put on such an incredible show filled with energy. Who are some people that you have looked up to in the past as far as stage presence and live performance? Avary: I think I have always been inspired by great artists, no matter what they are doing. I just love people who are the best at what they do(laughs). That's just so inspiring to me. It could be Merrel Haggard, Michael Jackson, Jay-Z or Beyonce. I don't know, I just love people who have really honed in on their craft. I am kind of inspired across the board. When i was younger, I saw this band called the Promise Ring and Davey (the singer) was bouncing around and I remember thinking that was the coolest thing ever(laughs). So maybe that influenced me. Speaking of your live show you recently put out a free live record, titled Bryce Avary, His Instruments and Your Voices. What inspired you to put together this compilation of live songs? Avary: That tour that I recorded was very special, because it was the first and only time I had done an acoustic tour. I just though that it was time to do something special for people that had supported us for so long, the fans. I thought what better way then playing it acoustic and have it be a huge sing-a-long fest. Shortly into the tour, I realized that I had to record it because it was just crazy special. Releasing it for free was just my thank you for sticking with me through the years. 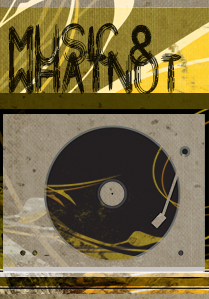 I started my own record label and have the new album coming out, Life Will Write The Words. So we decided to give the live album away for free with a brand new song attached, we hope that when the release date rolls around people will support what I am trying to do and pick up the album. Like you stated, you are releasing this album independently on your own record label. What brought you to that decision, rather than shopping around for another record label to put it out? Avary: I had the opportunity to walk away from the major record label that I was on at the beginning of last year, and I pretty much ran as fast as I could out of the door, I was really thankful and grateful for my time there. But I am equally thankful to not be there, just because of the same old story. I had so many different regimes that I went through by the time and by the time that they got to our guys, no one really even cared anymore. It was kind of hard to live in the shadow of Beiber (laughs). I'm not that kind of artist, for me it has always been just me since day one. My music is just an honest reflection of my heart. By playing all of these instruments and writing all of these songs myself, it just makes sense for me to start my own record label and put out my music wherever and whenever I want to. Just the quality of life seemed to be more intriguing to me. I met with a bunch of labels and there were a lot that wanted to sign this record. I actually entertained the idea for a good while(laughs). I finished the record in the summer of last year and that is what took so long, just me deciding if I really wanted to do it this way and it became really clear. We'll see, I'm sure it will be a learning experience but exciting at the same time. There is no better time, than right now to try something like this. I feel like at the end of the day, you sometimes find yourself in positions where you need to do things yourself. I have a great team of people behind me and the record. Its not just me sitting behind a computer doing it(laughs). Yeah, as the music industry continues to changes, doing these things on your own just seem to be the right move. With you, I'm sure it will pan out well because you seem to have a really strong fan base. Avary: Yeah, I am really fortunate for my fans that have been there with me through the highs and the lows. During the lows there were people there that carried it. The Rocket Summer has definitely been through some storms, just behind the scenes regarding label stuff. If I had not had such great fans, there would have been no way that I would have survived. That's why I do things like give songs away every once and a while for free. I can't give this record away for free, though(laughs) or it will be the last time I make a record. With the new album, what kind of direction do you feel like you are going in? Do you see any specific changes that stand out. Avary: That's what people seem to say. I don't think I ever set out to do that specifically, but I did intended on pushing myself musically and creatively. Not having that presence\pressure of having someone behind me, looking over my shoulder pushing me to write that kind of up the middle radio song or something. That in itself made for a freeing experience, where I could push myself lyrically and musically on this record. I definitely think it is the next step. It's hard to talk about and sell yourself, cause it makes me almost sound cocky( laughs). No not at all man. I have always respected your style, specifically your choice to write and record everything yourself and I have always wondered what originally drove that? Avary: What originally drove that was necessity. I was in high school and I didn't have a band, so I tried to learn a bunch of instruments, then I made a CD, then I got some calendar days and got some guys to tour with me. We were sleeping on floors touring, then I went to college and it became time to make another record. It kind of became this "thing." The thing that I wonder sometimes, is whether I come of as some sort of megalomaniac or control freak. The reason that I do it all is out of my absolute love and passion for playing several instruments, and the thrill that I get from sitting in a room and being able to create something from scratch. By doing it that way, it is a total reflection of me. I am certainly not opposed to collaborating, because I am always wanting to learn. As far as the Rocket Summer goes, it is just kind off this thing that has morphed into how things are operated. If you were to collaborate with others do you think it would be a different project, and you would leave the Rocket Summer as purely "only you?" Avary: I don't know. It was never really asked of me. It never really came up. Any good artist out there wants to continue to learn and continue to learn. What was kind of this thing that was really fun, and still is, I think it is important to take as many steps as you can from guys that you look up to you know? Who knows? We'll see what the future holds. I have a feeling I will be doing this the rest of my life. 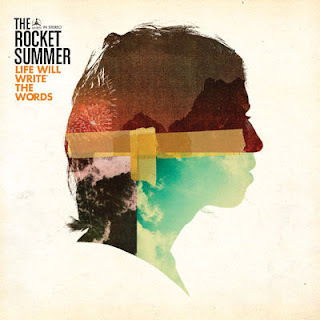 Who knows if twenty years down the road it will still be the Rocket Summer or called something else. Lord knows I can't do anything else, other than music(laughs). With Aviate records, do you see it growing to encompass other bands? I'm sure you are super focused on the success of this record right now, though. Avary: I definitely thought about it, but I am the king of getting way ahead of myself. I will focus on this record and then we will see. If I saw something that I loved and was passionate about, it is amazing to know that I have the awesome distribution and resources tone able to put out a record of someone else's. Who knows what the future holds? Perfect day, driving in your car with the windows down, what are you listening to. Avary: Sky Blue Sky by Wilco. "This song was one of those that kind of wrote itself. After a night of celebrating a friend's engagement party in Savannah, I woke up restless around 6am and took a walk down to river street to watch the sunrise. I started playing with the lyrics and wrote most of the melody that morning in my head. As soon as I got back home I recorded a rough version on my iPhone and thought it had a pretty decent hook. Friends seemed to like it so we recorded this video pretty soon after that." Be on the lookout for Voutila's debut EP, set to drop Fall 2012. Before they took the stage in Atlanta, Sonya Balchandani and Danny Barria of The Big Sleep performed a brand new song, "Gas Up The Jets," for exclusively for Mousertime.